See who is laughing all the way after Rahul Gandhi's successful tour of Telangana? It's TPCC chief Uttam Kumar Reddy himself. Uttam Kumar Reddy, who found himself on a shaky ground due to dissidence and defections, is now looking vibrant and happy. He has organized a hugely successful public meeting on the outskirts of the city. The turnout was good and Rahul Gandhi's attack on KCR was focused. Though he could not arrange a meeting of Rahul Gandhi with the students at the Osmania University due to the TRS government's denial of permission, he has managed to get lot of mileage due to the media coverage of the issue. 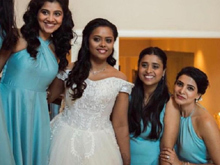 What more, he has also organized a very successful meeting of the industrialists and managed to stage a coup of sorts by getting Nara Brahmani as one of the participants. He showed that he is the most powerful among the Congress leaders. 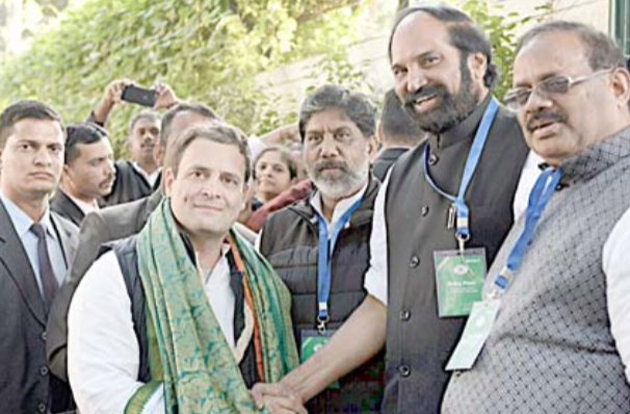 After this two-day tour of Rahul Gandhi, Uttam Kumar has emerged taller and stronger within the party.All other leaders like V Hanumantha Rao, Jana Reddy and Komati Reddy Venkat Reddy have been eclipsed by Uttam Kumar Reddy's pro-active moves. Vajpayee Critical, Kept On Life Support! Will Nara Brahmani Fund Congress Party?